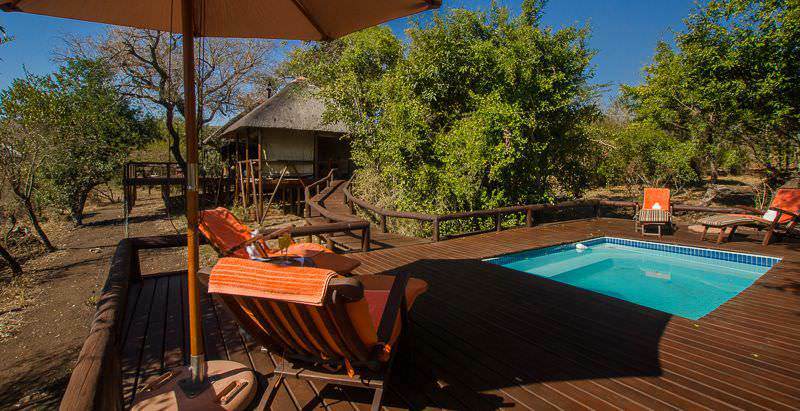 Camp Shonga offers four star full board safari accommodation in the Kruger National Park. 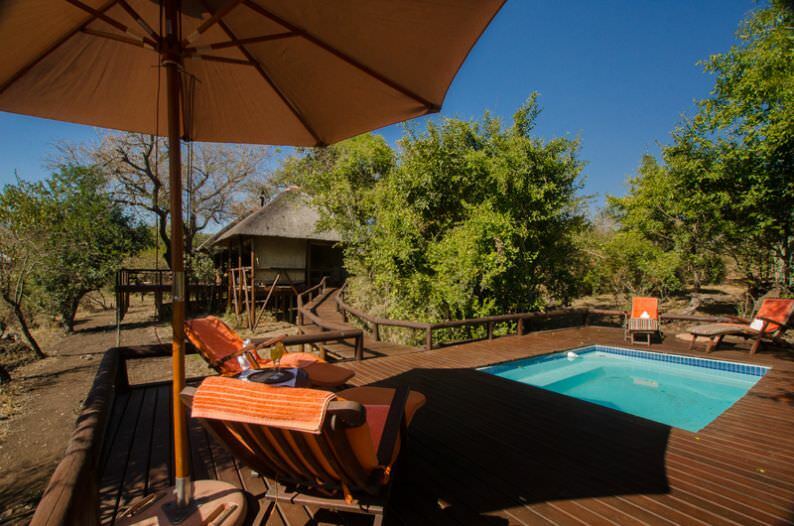 Camp Shonga is situated in the southern part of Kruger Park. 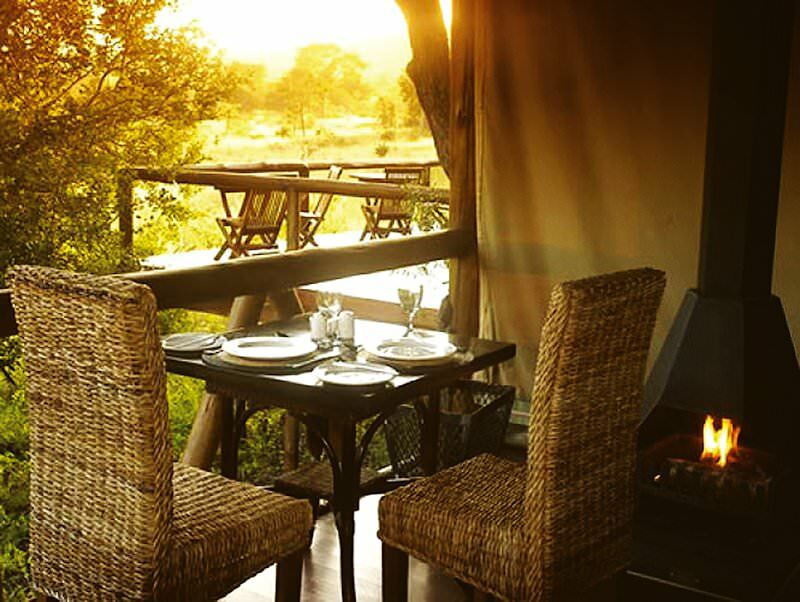 This luxury camp will make your South African safari an unforgettable experience. 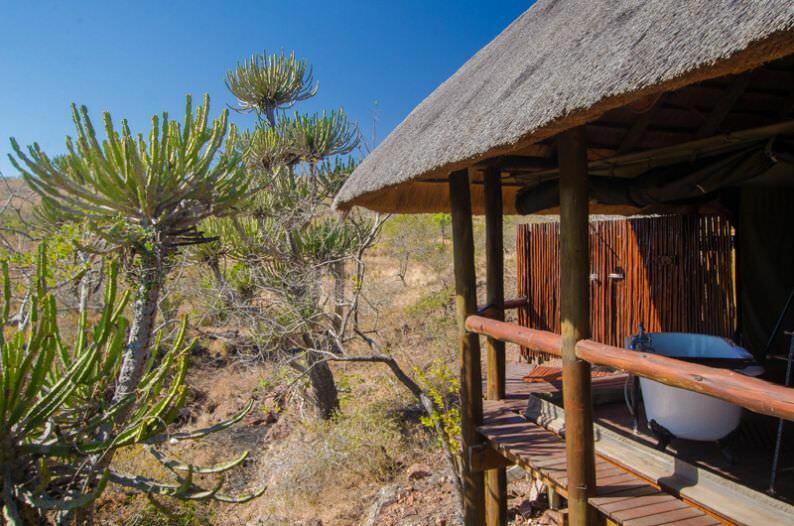 Ten guests can be accommodated in five elegant tents, each with en suite bathroom, outdoor shower and a deck from which to observe the abundant wildlife and relax whilst enjoying a sundowner. The service from the staff, the indoor and outdoor dining areas, splash pool and game drives will contribute to the memories of your safari in Kruger. 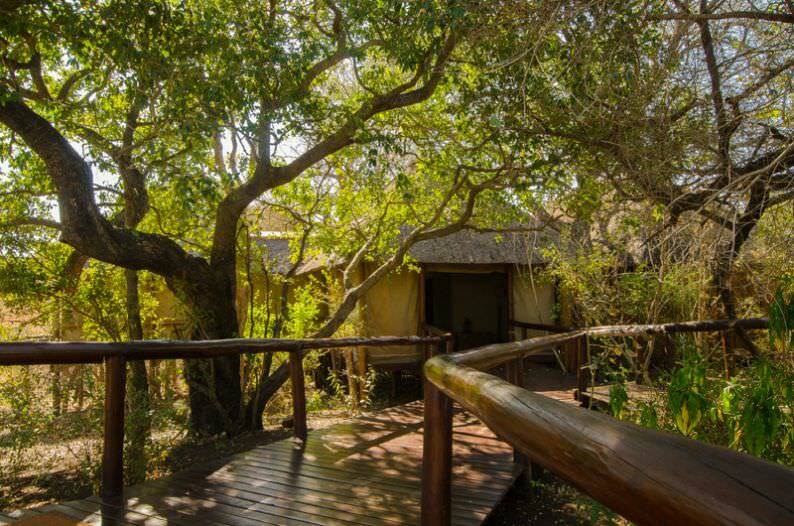 The camp is built and laid out in such a way as to have minimal impact on the environment, but still offers guests maximum enjoyment and a memorable experience of Kruger Park. 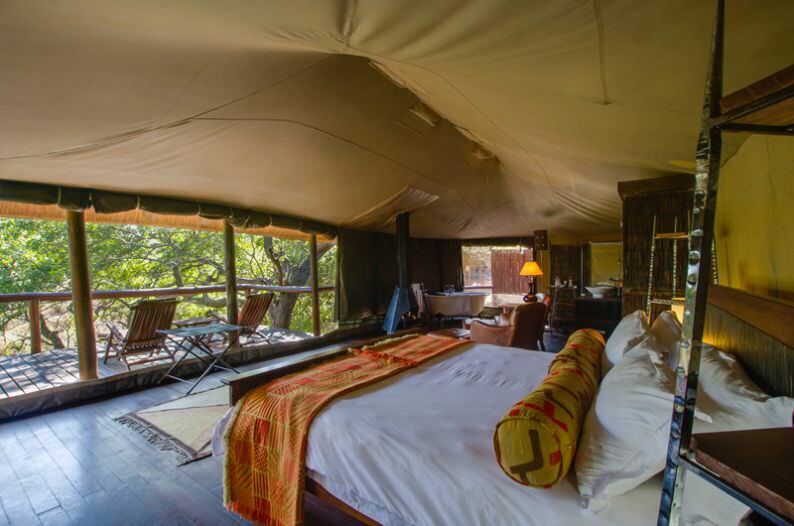 Guests staying at Camp Shonga may use the camp as a retreat away from the hustle and bustle of the main park, or can venture into the park on a game drive in an open 4x4 vehicle. Professional and experienced guides will assist in revealing the magic of the Kruger Park. 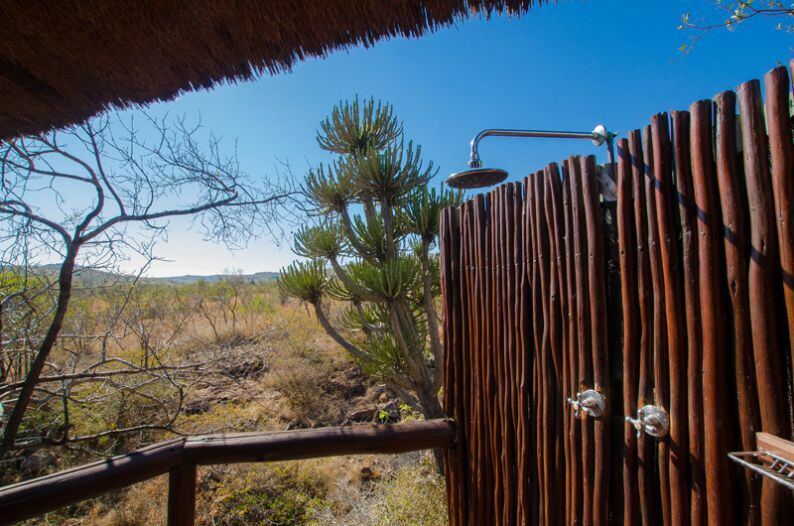 When booking a South African safari package to Camp Shonga, guests fly to Nelspruit and are transferred to the Shishangeni private concession for their safari. 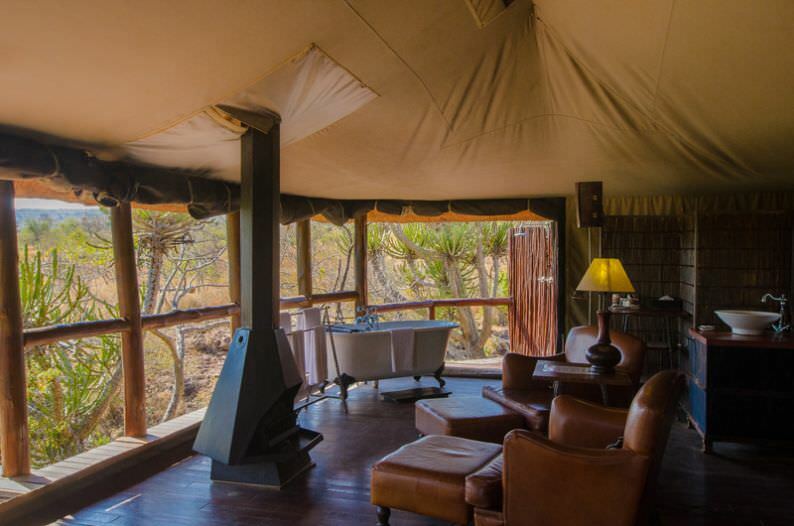 The intimacy of the camp ensures a wonderfully private safari experience, from daily open-air 4x4 game drives to leisurely bush walks in the enchanting folds of the bush. Alternatively, guests may enjoy the wilderness soundtrack from the recliner chairs on their tent's private viewing deck. Cool off in the camp's plunge pool for a relaxing reprieve from the summer heat. Evenings are characterized by sundowners and delicious meals on the main wooden deck - the perfect day's end to a safari in South Africa's Kruger National Park. 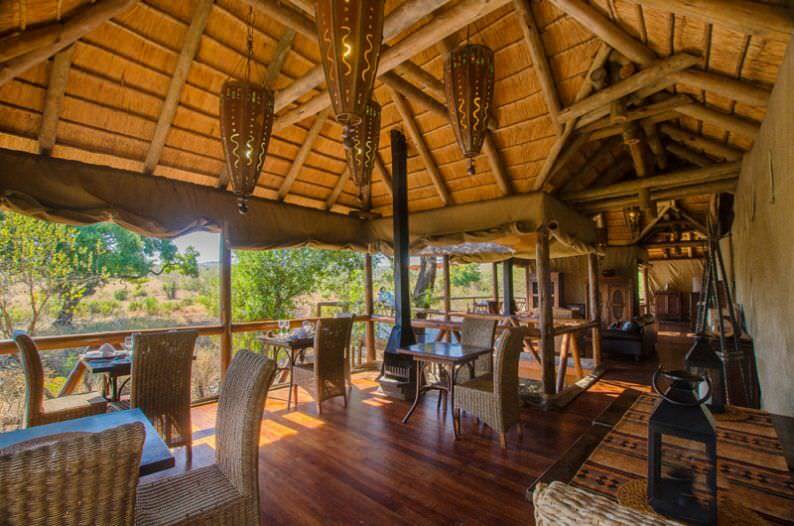 Camp Shonga is a good alternative for a four star private lodge safari inside the world-famous Kruger National Park. The setting is lovely and the rooms and service are typical of a four star-rated lodge. South Africa's malaria-free reserves offer fantastic family-friendly safaris. Botswana is a nature enthusiast's paradise, boasting ample wildlife. Namibia's top safari destinations include Etosha, Sossusvlei and Caprivi. Zambia offers truly authentic walking safaris, particularly in South Luangwa. Travel to Zimbabwe for a remarkable view of the Victoria Falls. The Kruger National Park is South Africa's most sought-after safari destination, offering prolific Big Five game viewing. We offer exceptional luxury safari packages to the continent's most bewitching wilderness areas, from South Luangwa to the Greater Etosha. The best destinations for a Big Five safari are scattered across South Africa, from Shamwari in the south to Sabi Sand in the north. The African lodges we use are surrounded by spectacular natural beauty in areas known for high concentrations of wildlife.